Originally from London, UK. Delgado got the House Music bug in the 1980’s. He quickly became one the scenes more respected producers with successful releases on respected labels like Stealth, Magnetic, King Street, Nite Grooves, Great Stuff which have also been championed worldwide by the likes of Roger Sanchez & DJ Sneak. 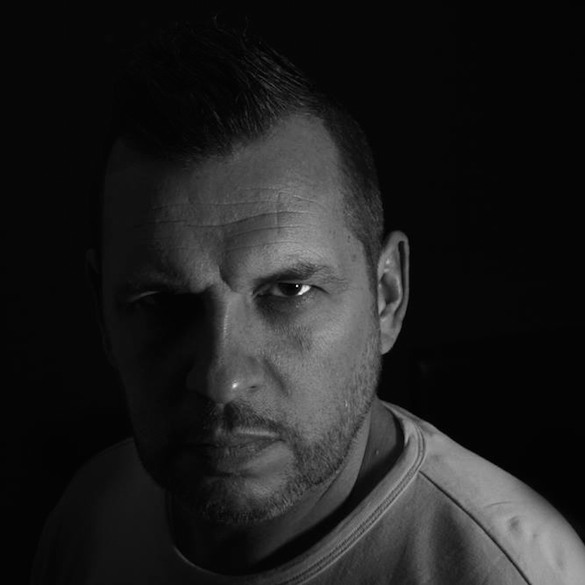 As a DJ, Delgado is firmly seated and in demand via the London and Spanish club scene, with residencies reaching out far and wide across the globe for over 18 years gracing the decks of some of the biggest clubs in the world like MOS, Pacha, Egg, Cross, Canvas, Fabric, Space Ibiza, DC10 & Amnesia. And to celebrate his new ‘Block Rocks’ release via Toolroom out now on Traxsource, Delgado lays down 5 house gems that made a significant impact in his life. Once again Strictly Rhythm supplying another iconic track for me. The drums, snare and tuned percussion programming do it every time for me. This track has definitely helped colour my sound over the years and still in my box now as it was in the nineties. Sneak! nuff said really but just to expand a little, This is definitely a massive influence for me. Heavy fat kicks, rolling bass, filtered bass and disco riffs, you name it its all there. I really could include 30 odd tracks from him but i’ve chosen this one as it is a shining example of sneaks raw beats and production, something that todays newer producers are still trying to emulate. Legend! Another massive track for me thats full of raw beats, big bumping bass lines and that repetitive hooky vocals. This is a track that sits in my sets today as it did way back then and again its all about that big chunky raw kick programming. This gem still shows its influence in my music. From the old to the relatively new with this cut from Jay Lumen. Say no more, big chunky jackin drums and heavy rolling bass on this. It has every thing a modern day house track requires and this one has it nailed. love dropping it in my sets and its a great bench mark for all tech/jackin/house producers. Glenn Underground talking all that Jazz.